Walsall manager Dean Keates has spoken to the local press and revealed that he is hoping to agree terms with former Wrexham prospect Oliver Marx, with the central defender currently training with the Saddlers' first-team squad as they continue to prepare for the upcoming campaign. Dean, who was speaking after his side slipped to a disappointing defeat to Rushall Olympic in their opening pre-season fixture, admitted that he was surprised that his former side had allowed Marx to depart earlier in the summer but expects there to be competition for his signature. 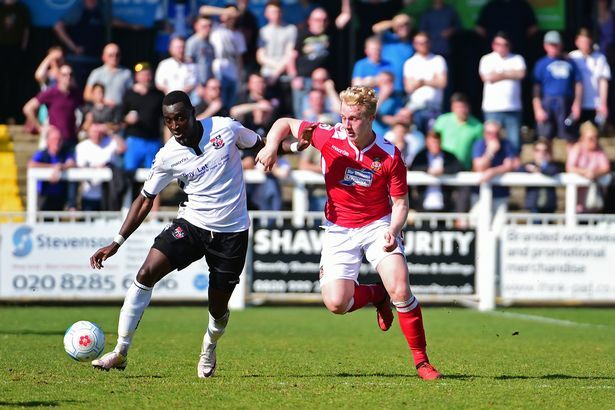 Keates, who managed Marx during his time as boss at the Racecourse ground, went on to reveal that if he does land the defender he expects him to be loaned out in order to gain some much-needed first-team football. Speaking via the Express & Star, Dean said; "Olly is a strange one – he’s been allowed to leave Wrexham and is somebody I am looking at and somebody I am interested in. It’s a deal we might get done but I know there is a lot of interest in him from elsewhere as well. "He is young. In my time in charge of Wrexham he played 10 games for me. He had two loan spells out, including one at Rushall. He’s not someone who I’d say will come in and go straight into the first-team. But if we get a deal done we will probably look at getting him out on loan."